Jen McGowan directs this independent, low-budget thriller which brings to mind Deliverance and a host of backwoods horror films, until it reveals itself to be a crime thriller. A young woman on the way to a job interview in Washington CD decides to get off the highway to avoid traffic, and discovers the limits of GPS navigation, finding herself facing a “road closed” sign at the end on a country road in the woods. Driving around, still listening to GPS anyway, she goes down another country road. Nearby, men engaged in some task in the woods, spot her car and one says “she saw us.” Although she turns around and heads back up the road, something has been put in motion. Jen McGowan got a fast start with her directorial debut feature Kelly & Cal, which won raves and a prize at SXSW, with some comparing her work to Nicole Holofcener. McGowan has done a lot of other film work including producing, but her return to directing, Rust Creek, unfortunately, is not her best. The thriller has some strengths, primarily its very good cast, plus polished photography and well-suited locations. What it lacks is a good script, which at a minimum needed a visit to the script doctor, which might have cured at least some of its ills. 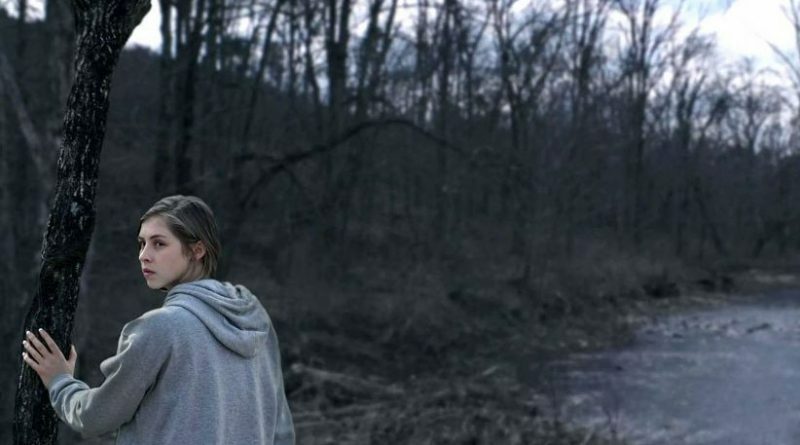 Rust Creek is a genre film, aiming just to entertain, and there is no reason women directors can’t make those kinds of films too rather than ones with social commentary. And there is enough there in Rust Creek, largely thanks to the cast, to give the promise of an intriguing crime story – enough to make you frustrated when the film takes wrongs turns. In one scene, this lost young woman largely thrashes a pair of backwoods bad guys who accost her on a remote road. She is awesome, so that you want to cheer for her. But then, instead of getting in her car and driving off, she runs off into the woods – the woods these fellows just told her they know well. Repeatedly, this characters makes these classic horror-film bad decisions, like the horror movie girl who runs up the stairs instead of out the front door, while the audience says “not that way!” Sometimes she is cunning and resourceful, the next moment she’s dumb as a rock. And all done without a drop of humor. You see the problem. Still, in other scenes and sometimes for long stretches, Rust Creek is much better, enough to give the audience hope it will finally right itself. The cast are strong enough to create interest in the characters, and at times they seem to be developing depth. There are moments when the script shows potential for a good thriller, lurking under its rough exterior. One of the film’s good points is that all the characters are from the South, and this is not a New Yorker or Chicagoan lost in rural North Carolina, with the regional stereotyping that goes with that. The characters all have Southern accents, and the “city girl” lost in the country is from Paducah, which gives a different spin and a bit more focus on the class divide. Further, the characters have enough cunning and complexity to suggest something like Winter’s Bone. At least until the script throws in some new boneheaded turn. It is not that Rust Creek is all bad, and there certainly were worse films last year – Gotti, Uncle Drew, Robin Hood – all directed by men, with far larger budgets. It is just that this one did not have enough pluses to add up to a hit. Near-misses, like the woman-directed Rust Creek, are always more frustrating than those way, way off the mark like Robin Hood. We want to cheer on women filmmakers, who are now breaking through long-standing barriers. and it is a bit painful to see a woman-directed film that does not quite succeed as one hopes. But everyone is entitled to a misstep, a do-over. That is true for Jen McGowan, who next time needs to pick a better script, or have a through re-write.